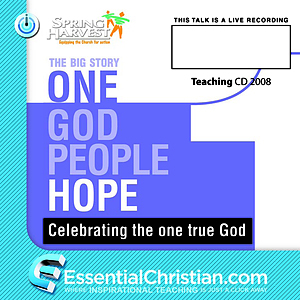 Once upon a time, Christ's Eschatology is a Canon Dr Ann Holt talk recorded at Spring Harvest - 2008 on The End Times available as MP3 Download format. What kind of future does Jesus promise? An overview of controversial sayings in the Gospels. Looking at the second coming – what does the Bible say? What is the resurrection of the body? What kind of future do we look forward to? Be the first to review Once upon a time, Christ's Eschatology a talk by Canon Dr Ann Holt! Got a question? No problem! Just click here to ask us about Once upon a time, Christ's Eschatology a talk by Canon Dr Ann Holt.